Chlorine allergy and swimming pool water chemistry. Good weekly pool maintenance and pool water balance to give you the pool perfect for you. If you're wondering if you have a real allergy (not chlorine poisoning), you'll be looking for signs and symptoms for a chlorine allergic reaction. So the questions are what is a real allergy to chlorine, what are the symptoms, and what are the possible treatments? Pool chlorine has many beneficial uses including sanitizing swimming pools and drinking water. You can rest easy in knowing that if you practice good swimming pool care your pool will be well sanitized and free from any kind of bacteria. Many people have a chlorine allergy and/ or chlorine sensitivity. This is actually more common in competitive swimmers. Higher than normal levels of chlorine can contribute to their allergies, but there's more to consider. Lower pH and high combined chlorine are also factors that should be taken into consideration. Contrary to popular belief, higher pH levels do not cause swimming irritation, nor do they contribute to faded swimsuits. There's no doubt swimming is a great exercise and can be enjoyed by nearly everyone. But what about the chlorine? Can you be allergic to it? A real allergy to chlorine is called Allergies Type-4, cell mediated, or delayed allergies. According to some allergists, you might not be actually allergic to chlorine. What you may have is a sensitivity or reaction. It might be asthma or bronchoconstriction which is brought on by swimming in an indoor or outdoor pool that is not properly treated. Chlorine reactions may include itchy red skin or hives that is known as "irritant dermatitis" that many people experience with slight chemical burns. Frustrated by adding chemicals? Tired of skin irritation and red eyes? In my exclusive 12 Part F.T.A. 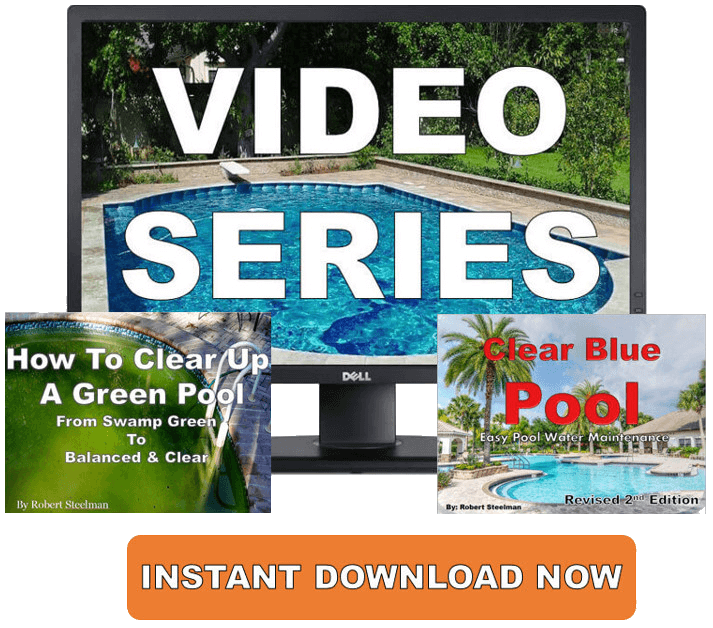 Video Series I show you how to not only clear up your pool but how to keep it perfect all swimming season. Cut through the confusion with this easy to understand guide to pool water maintenance. Available for computer and mobile devices. 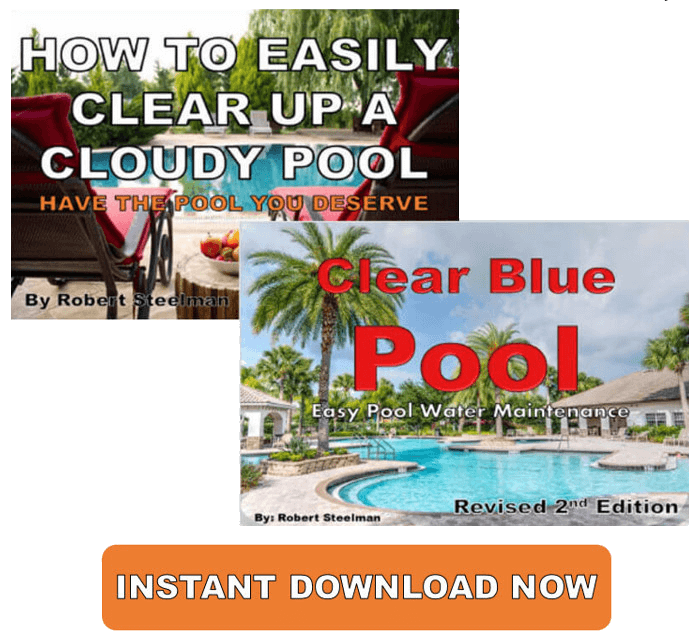 You also receive 2 eBooks "Clear Blue Pool Revised 2nd Edition" & "How To Clear Up A Green Pool". Click the button or go HERE and get started today!! Respiratory problems (similar to symptoms of bronchitis) like an asthma attack or asthmatic bronchitis may happen when someone who might be chlorine sensitive comes in contact with swimming pool chlorine. The symptoms may increase when the person goes to an indoor pool without proper air flow, ventilation, and poor swimming pool care and maintenance. Another possible symptom is a tightness in the chest and shortness of breath. 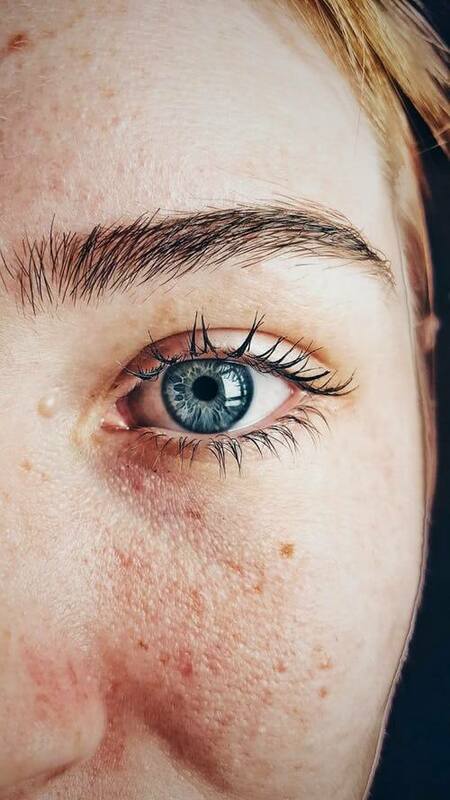 Swimming pools with a high chloramine (combined chlorine) level will irritate most people's eyes, but one with a real allergy will suffer from redness and severe irritation along with possible swelling and itching. If you experience any of these symptoms, get out of the pool and rise your eyes very well. Most of the time pool chlorine is an irritant in and of itself, but those with a chlorine allergy will suffer severe itching and redness along the armpits and groin areas. Showering after swimming will help reduce this reaction to the swimming pool chlorine. This rash might be similar to eczema and asthma. If your clothes are washed in a chlorine based detergent, you might need to switch to another brand. This rash will probably go away if caught and treated in time, but prolonged contact might result in a more pronounced skin rash and might spread causing more itching and burning. You may experience severe dry skin all over your body but might be more severe in your armpits or groin area. This reaction to pool chlorine can lead to dry skin, itching, redness, and even peeling skin. You can go to your health care provider to have an allergy skin test. Use a special soap and shampoo that removes the pool chlorine and good moisturizer. You might also experience a stuffy nose after swimming in a poorly maintained public swimming pool. You may also benefit from nasal irrigation such as NeilMed sinus rinse. 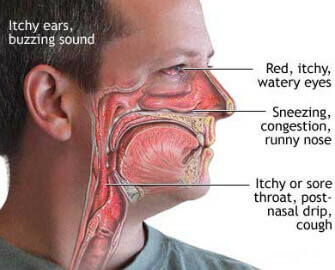 This is normally called Sinusitis and is caused by water going in your nose and up into the sinus area. The best treatment would be to drink plenty of water to allow your nose to drain properly. If the problem persists seek out your health care provider as an infection can cause more issues down the road. Again, if your chlorine allergy symptoms persist call your health care provider. Some current health articles, women's health issues, and medical headlines have come out mentioning chlorine allergy, chlorine poisoning, asthma symptoms, shortness of breath, and general allergy symptoms associated with pool chlorine. I believe many of these symptoms are from poor swimming pool maintenance and those pool operators who may not understand basic swimming pool care and chlorine safety. A normal chlorine swimming pool and even salt water swimming pools will produce what is known as chloramines or combined chlorine through the use of hypochlorous acid. This is a by-product of pool chlorine and organic matter. When the swimming pool chlorine comes into contact with this matter it oxidizes and kills it. This dead matter and bacteria floating in the pool are the chloramines. This is the bad chlorine smell that you get when you enter an indoor public pool. A good pool shock will kill the chloramines (combined chlorine) in the swimming pool and reduce or eliminate the nasty chlorine smell. To test for combined chlorine and residual chlorine, use a good pool water test kit. 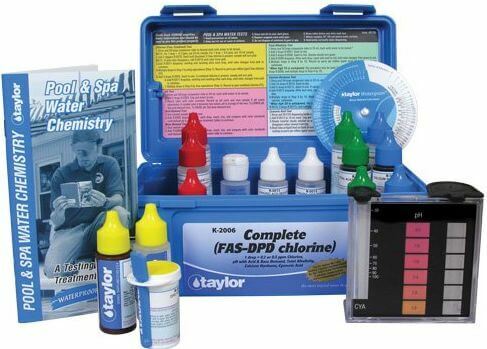 I prefer the FAS-DPD K-2006 Taylor test kit. Test strips cannot give the combine chlorine level. I believe these chloramines (combined chlorine) are partly or mostly responsible for your chlorine allergy. From my understanding very few people have an actual chlorine allergy. More often it's a lesser resistance to pool chlorine. By taking a good shower, using anti-chlorine soap and shampoo, and limiting your exposure to swimming pool chlorine, you may increase your chances of a long, healthy, and fun swimming season. This is not to be used for medical purposes. My objective was to give you some information about a possible chlorine allergy. If you believe you may suffer from an allergy to chlorine please ask your health care provider.